My second card uses the set Humble Pie. 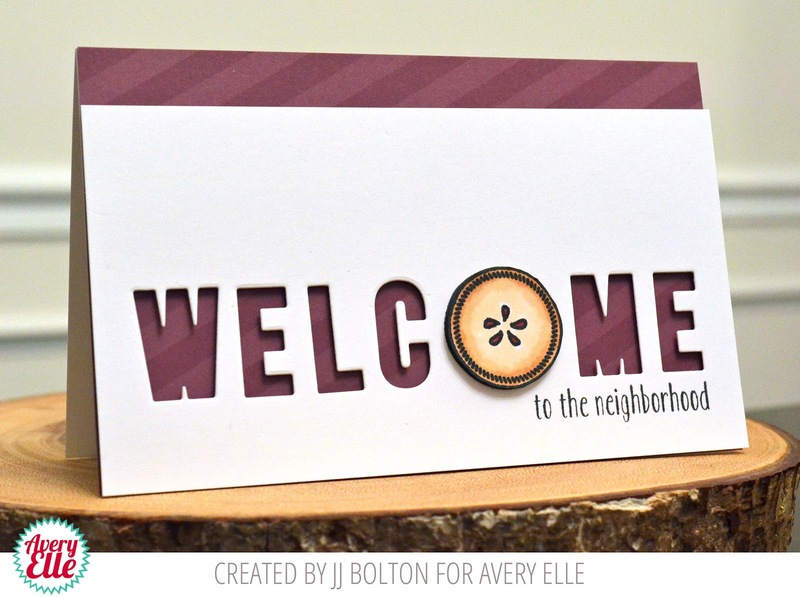 I used one of the cute little pie stamps to create a welcome to the neighborhood card. [Full disclosure...I am not a baker. I am, however, a pretty good shopper and have been known to bring over some purchased baked goods;)] By the way, the berry-colored papers is from from the Harvest Collection paper pad (color is Vino). Thats it for me! Thanks so much for stopping by! It's always fun to stop by your blog to see your creations, JJ! I hope you enjoyed your break...I'm happy to have you posting again, though :) Two really awesome cards! 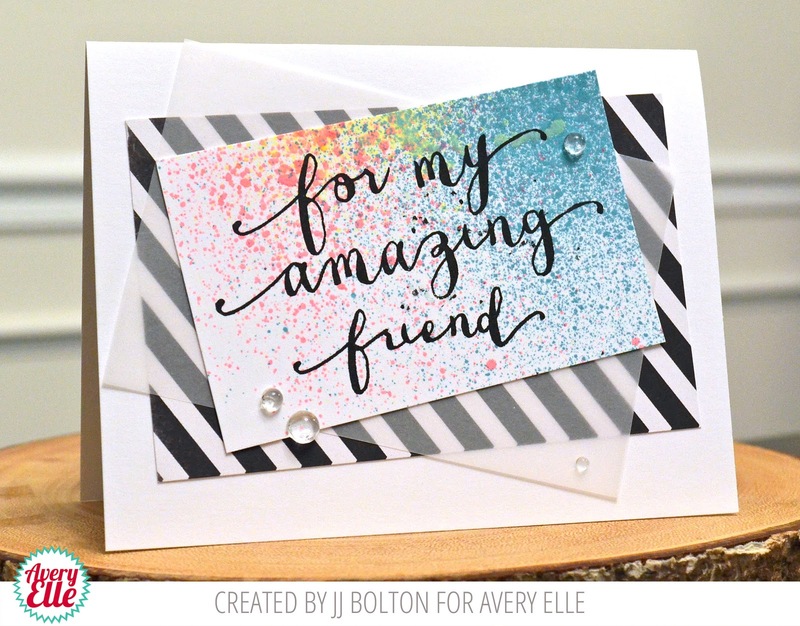 I love how you misted all those pretty colors as a background for your sentiment on the first card, and the little pie looks so cute on your 2nd card! I'm loving those Vino papers, too! Love them both! Such a great font on the first one and clever design with the second.